The National Institute for Standards and Technology (NIST) is working to improve first-responder communications in an emergency through the Rapidly Deployable Public Safety Research Platform, or Nerdcart, as social media has dubbed it. The Nerdcart operates by providing voice, text, instant messaging, video, and data communications to more than 200 emergency users over the span of about 2.5 miles. 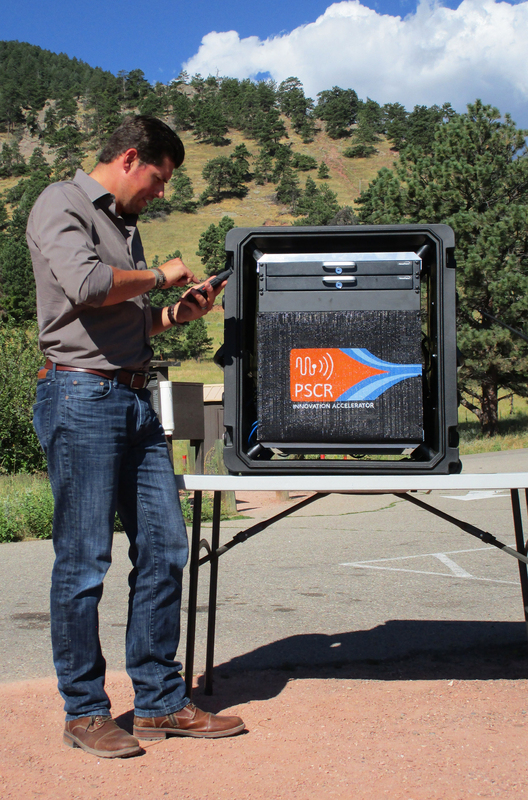 The cart, which is about the size of a large filing cabinet, makes a difference due to its quick deployment time and ability to connect with both Long Term Evolution (LTE) phones and Land Mobile Radio (LMR) systems. The work was partially funded by the Department of Homeland Security ‘s First Responder Group, and integrates commercially available technologies from a variety of private sector partners into a single platform. “Our role at NIST is not to develop the technology itself, but to integrate the state-of-the-art pieces into a conceptual platform that will help drive the industry to meet public safety needs—that is, to make portable systems smaller, more robust, and with more capabilities,” McElvaney said. 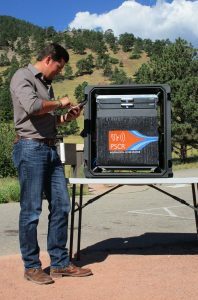 Currently, PSCR staff are working to integrate sensor data and analytics into the cart’s systems, as well as enabling the system to connect to already established and temporary emergency networks in the area in which it is set up.